Rajen Govender graduated with a MA from New York University (NYU) and a MA and PhD from University of California, Los Angeles (UCLA), specialising in Political Psychology, Survey Research Methodology and Advanced Quantitative Methods. His graduate work focussed on relative deprivation and alienation as explanations for political protest. His present research focuses on social cohesion and reconciliation in transitional societies, HIV and AIDS in the construction industry, reducing child vulnerability to injury and mortality in poor communities, and promoting community development through engaged local agency and peace initiatives. He has published over 25 articles in peer reviewed journals, and co-edited the volume Rethinking Reconciliation: Evidence from South Africa. He currently teaches graduate research and quantitative methods for Sociology, Political Science and Development Policy and Practice. 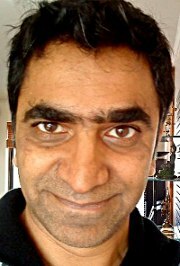 A/Prof Govender is also Senior Research Fellow at the Centre for Social Science Research (CSSR) at UCT.